Hello, I have acquired an 06 Sportsman 450 that was my step-son's dad's 4-wheeler. His dad passed away on March 1st and we came into possession of his 4-wheeler. I do not know anything about this wheeler except the motor is locked up. It was previously at a shop and the guy said it took in water and mud. He also said the motor was not worth fixing. The wheeler is of sentimental to my step-son and I would like to try to put another motor in it as cheaply as possible. What years of other Polaris 4-wheelers could be donors to the 06 Sportsman 450? I found this link for an exhaust system, but I didn't know if the other internal parts of the motor would be compatible with the 06. Holy Cow latebird. Thank you for all of those models. I kind of figured the some of the 500 parts would work with a quick trip to eBay. But the info here will surely get me started! Long story short, the motor is not locked-up as previously stated by a shop. All the guy did, from what I can tell, was remove the cover with the pull start and remove the cover of the clutch drive system. 2. I'm trying to remove the carb and I have been unsuccessful in getting the choke cable removed so I can clean the carb. I'm having trouble removing the big bolt/adapter the goes directly into the carb. What is the secret? I've ordered a starter(bad), bendix(missing), and a temp sensor (wires broken off). I was having trouble with the doing anything, but the "off/run/off" switch has bad contacts and I did get that working. I get a click out of the starter solenoid when I turn the key all the way over, so I'm hopeful. I just need some more advice. As to the enrichener nut, they are the un-handiest thing to deal with. I have in my arsenal of tools; a 12 & 14 mm box end wrenches that have been ground down on the outside for clearance and the box cut open to be able to slip over the cable and a pair of deep well sockets that I milled one side out of to allow the socket to clear the cable and can get on the nut - the socket allows more force to loosen the nut than the box end wrench does. I had a 12mm box end already shaved down as a speciality wrench for a small engine shop I used to work for, but I did have to grind a slit for the cable to pass through. It worked like a charm. Now I need to clean the carb. I also ordered the secondary clutch off of eBay. I should have the starter parts, temp sensor, clutch, and a bolt lot (for the bolts missing on the pull start cover and starter) in later this week. I hope to get everything on the four-wheeler and check to see if it will turn over with the key switch. The thermistor/ temp sensor came in 2 days ago and now the fan doesn’t run when you switch the key on. My bolt lot should be here today and the starter, bendix, and carb parts by Friday. Hopefully I’ll see if the motor turns on it’s on power by then. I have the starter and bendix now and I began looking through the bolts I ordered. 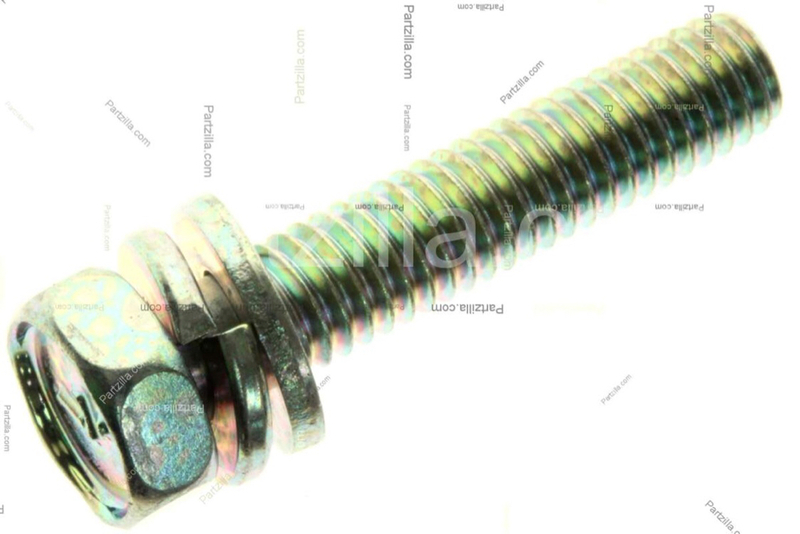 I noticed some of the bolts are fine pitch, 1.00mm (I think) and others are 1.25mm. My next question is what is the correct pitch of bolt that bolts the starter on. 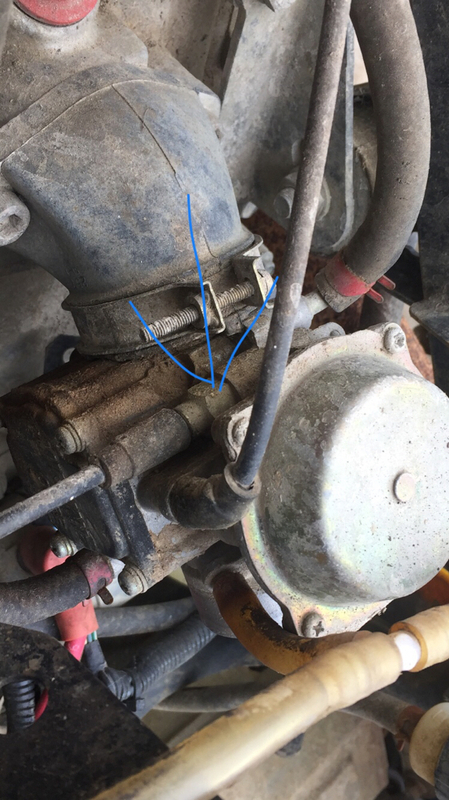 The one bolt that was "holding" the starter in place wasn't threaded in all the way, so I'm thinking it was the wrong bolt or the threads in the case a boogered up, so I wanted to know the correct bolt pitch to make sure I don't mess anything up more. I think " 3082038 " is the correct part number, but the descriptions don't have the thread pitch. Last edited by kcmng; 04-06-2019 at 01:25 PM.